Walk-In Lab and STD Test Express are two respectable STD testing services that we gladly recommend. To help our readers better understand the differences between them and choose the one that is a step ahead of its competitor, we have created this objective Walk-In Lab VS STD Test Express comparison that clearly shows which one is a slightly better choice. Walk-In Lab, which was founded in 2009 in Madisonville, LA, features thousands of different tests, covering all aspects of personal health and wellness, from heart diseases to STDs. If you order a test from Walk-In Lab, you'll have to provide the company with your name, date of birth, phone number, and email address. Your data is encrypted and test results are kept on secure servers. Printed copies of your results are never retained. The company will never share your info with anybody or try to make a profit by selling it to marketers. Your test results are never released to anyone without your consent, which includes your spouse. Much cheaper than your regular bloodwork. Very easy order and quick results. The front desk girls were almost rude to us, everything else went without a hitch. I did the labs I couldn't possibly afford without walk-in lab, but it took me a while to get all the info from the user support. 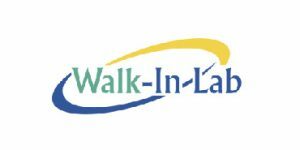 Walk-In Lab is a reputable provider of online testing solutions partnered with two of the best lab testing companies on the market. Founded in 2009 with corporate headquarters in Madisonville, LA, it features thousands of different testing solutions. Read our in-depth Walk-In Lab review to learn more about the company and the tests it offers.